The U.S. State Department has chosen to act as UNRWA's patron and the protector of its mission, perpetuating and expanding the refugee issue as a source of conflict against Israel. Apparently more Israeli houses hurt peace, but multiplying the number of refugees is fine. Here is a second example: Another two million Palestinians already settled in the West Bank and Gaza, and who, by their own account, lived in the declared Palestinian state as its citizens under a Palestinian government, are registered as "refugees" by UNRWA. By American legal standards, these Palestinians are "firmly settled" and therefore ineligible for "refugee" status. Further, according to American policy reaffirmed by three Presidents, these Palestinians already reside in their own future state, the place where Palestinian refugees are meant to be settled. Yet the State Department supports UNRWA's decision to count two million Palestinians well established in the West Bank and Gaza as "refugees," too. Grandchildren and great-grandchildren are specifically not entitled to inherit refugee status merely because their ancestor was a refugee. But under UNRWA practices, any descendant of a male refugee, no matter how many generations and decades have passed, is automatically entitled to be counted as a "refugee." More than 95% of today's UNRWA "refugees," in fact, were not even alive when Israel was born in 1948; were never personally displaced by Israel's creation, and are listed by UNRWA as "refugees" only because of this peculiar practice of inheriting refugee status as a birthright . Amazingly, the State Department defends all this, sometimes with great specificity. In response to critics of the descendancy principle, for example, the State Department recently reported, with approval, that UNRWA is not the only UN agency following this inheritance rule; the United Nations High Commissioner for Refugees (UNHCR) occasionally does, as well. The State Department has shown that it will resist any change in its policy toward the UNRWA practices that exacerbate and perpetuate the refugee problem. When Senator Mark Kirk introduced an amendment to the 2013 State Department Appropriations bill to force the Department to change, Deputy Secretary of State Thomas R. Nides fiercely objected: "Legislation which would force the United States to make a public judgment on the number and status of Palestinian refugees would be viewed... as the United States acting to prejudge a final status issue and determine the outcome." Nides said that any divergence from UNRWA's rules would "hurt our efforts to promote Middle East peace, ....undercut our ability to act as a mediator and peace facilitator, ... damage confidence between the parties, [and]...hurt our efforts to prevent the Palestinians from...pursuit of statehood via the United Nations." He continued that it would also "generate very strong negative reaction" because this is "one of the most sensitive final status issues" that "strikes a deep, emotional, chord," especially at this "particularly fragile...[and] sensitive time." It would, he claimed, "be seen as a diminution of support for the Palestinian people" and "put at risk the humanitarian needs of this large, poor, and vulnerable refugee group." And, he added, it would "risk a very negative and potentially destabilizing impact on key allies, particularly Jordan." The government of Israel would agree with Nides' assertion that "UNRWA serves as an important counterweight to extremist organizations such as Hamas and Hezbollah" and that "any void left by UNRWA would be likely be filled by terrorist elements." But supporting UNRWA's schools and hospitals, and its stabilizing role, does not require that the United States government continue to call UNRWA beneficiaries "refugees" when they are not. UNRWA's own Consolidated Eligibility & Registration Instructions do not require UNRWA beneficiaries to be classified as "refugees"-- its Section III.A.2 and Section III.B create classes of UNRWA beneficiaries not registered as "refugees" but who are nonetheless eligible for UNRWA services. In a September 2013 statement to the Congressional Research Service, the State Department defended "United States' acceptance of UNRWA's method of recognizing refugees". Congressional Research Service, U.S. Foreign Aid to the Palestinians, July 3, 2014, p. 24. Articles 3 and 9 of Jordan's Nationality Law No. 6 of 1954. 8 USC 1101(a), INA 101(a) section 42. Immigration and Nationality Act, 8 U.S.C. §1158(b)(2)(A)(vi) (2006), Section 208(b)(2)(A)(vi). Section 207 of the United States Immigration and Nationality Act. Cf. Form I-730, the USCIS Refugee/Asylee Relative Petition. "Did the State Department just create 5 million Palestinian refugees? ", Foreign Policy, May 25, 2012. Deputy Secretary of State Thomas R. Nides May 24, 2012 letter opposing the Kirk Amendment. These classes of eligibility are listed as "Other Registered Persons" and persons "eligible to receive UNRWA services without being registered in UNRWA's Registration System." And UNRWA's existence is paid by the USA taxpayer who knows nothing about how wrongly his money is spent! Maybe it is time to start a campaign to explain the American public to reject funding UNRWA. Under the loose rules of UNRWA and the State Department, I recommend everyone apply for refugee status as a "Palestinian." I could retire in style with all those freebies and all the sympathy of the left who would offer me the perks of a most-favoured terrorist deserving whatever he needs, wants and desires. This anti-Israel bias by the U.S. State Department is consistent with how it has traditionally operated. It is controlled by a pro-Arab, Pro-Muslim, Pro-Palestinian mindset. They view Israel in the same manner as the UN. According to the State Department and UNRWA then, the Palestinian refugees are not refugees from Israel or Palestine, and has nothing to do with a two state solution for the West Bank. Exactly what the Palestinian refugees are refugees of needs to be examined further. This is the same State Department that refused refugee visas to the Jews running from the Nazis. Is there one law for everybody and a different one for the State Department? Gaza is, after the P.L.O. opposition leaders were thrown to dead, ruled solely by the Terrorist Organization Hamas, who doesn't allow political opposition, free press or thinking. Hamas controls the economy, based on tunnel-digging, taxing the merchandise that passed through them and the rocket industry financed by Qatar and Iran. The UNRWA's Gaza branch is, as well, controlled by Hamas: this includes food distribution, the 250 UNRWA schools, where Jihad lessons are given and some used to hide and lunch rockets, some hospitals to launch rockets and hide their leaders. The State Department's behavior contradicts everything America stands for and must stop protecting and financing those or any other terrorists. We Americans should absolutely stop financing the United Nations and its absurd offspring. They violate the basic tenets they were founded for. Are you listening, state department? Very well put Mr. Muchawsky! "The government of Israel would agree with Nides' assertion that 'UNRWA serves as an important counterweight to extremist organizations such as Hamas and Hezbollah" and that "any void left by UNRWA would be likely be filled by terrorist elements.'" This assumption regarding the government of Israel is total bosh. UNWRA is no counterweight but the enabler of terrorist organizations. By bringing in money and personnel to take care of ALL civilian issues the UN frees the terror organizations to pursue terror. If all this money and support had dried up i expect the Gazans would demand Hamas address their civil issues using its own funds, and pay doctors, teachers, health workers, garbage disposal, water distribution rather than 1.5 billion dollars of tunnel building. "UNRWA serves as an important counterweight to extremist organizations such as Hamas and Hezbollah" and that "any void left by UNRWA would be likely be filled by terrorist elements." But supporting UNRWA's schools and hospitals, and its stabilizing role." However on the contrary we have seen during this summer that in Gaza, UNRWA is totally infiltrated by Hamas and controlled by Hamas, using its school and hospitals as command bases and rocket storage facilities. Furthermore because of this rule introduced by UNRWA that children and grandchildren of refugees are also refugees, Palestinian Arabs in Syria and Libanon have never been given any legal and social rights and are breeding terrorists if not professional refugees. No surprises here. The State Department has a long tradition of being a haven for antisemites. Just more of the same. By UNRWA criteria most if not all Israelis, and US citizens are eligible for refugee status and to be treated accordingly. There is a very essential flaw in the argument that "UNRWA serves as an important counterweight to extremist organizations such as Hamas and Hezbollah." For the simple reality is that UNRWA is controlled in the main by Hamas and is under the thumb of this terrorist organization. This fact is well documented, as well I know because I helped with that documentation when I did research for the Center for Near East Policy Research. The essential question here is whether there is abysmal ignorance on this issue, or whether governments blithely ignore this situation for other reasons. 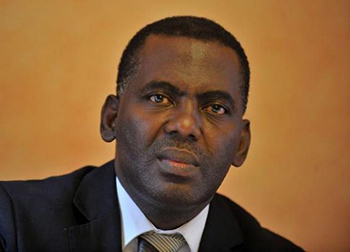 Would you say that the practice of UNRWA also contradicts the rules of the United Nations High Commissioner for Refugees (UNHCR), and in the same way as it contradicts US law? If so, how can the UN be brought to account for applying one set of rules to Palestine Arabs and another to all other refugees the world over? 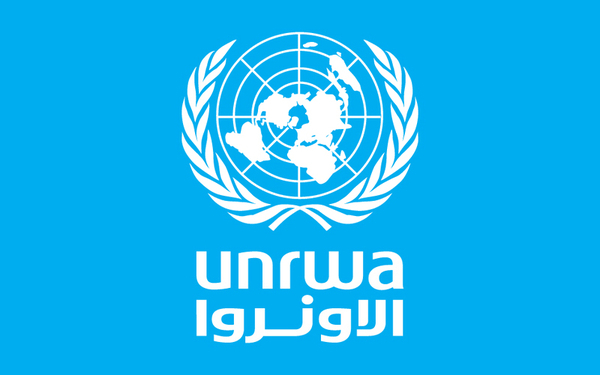 One must realize, that originally, there was no UNRWA. It was artificially created to just assist the 450,000 "Palestinian" refugees. The rules were changed to accommodate them and for their status to be used against them by the neighboring Muslim nations. Too bad. So much time, so many dollars totally wasted. The Muslim people who left what is now Israel, predominantly never left Dar Al Islam, the country to which they still belong and are thus to all the refugee conventions not refugees. In contrast, the Jews who were forced to leave Muslim countries due to the creation of Israel are genuine refugees. State department is a useless organization, time to do house cleaning from top to bottom in executives, personnel, policies & funding. So, I'll answer it for you. The U.S. State Dept. sees the phony refugees the same way the Arabs do - as a weapon against Israel & it wouldn't surprise me at all if they also support the phony Arab "right of return" - in effect, putting an end to Israel as a sovereign Jewish State. The "right of return" for the non-existent refugees isn't essential to the peace process, it's what has stopped the peace process. Abbas long ago agreed to Israeli land in return for the largest settlements. It's the "right of return" and the phoney "refugee" designation which has prevented peace. Hillary had 4 years to resolve this mess and did nothing.